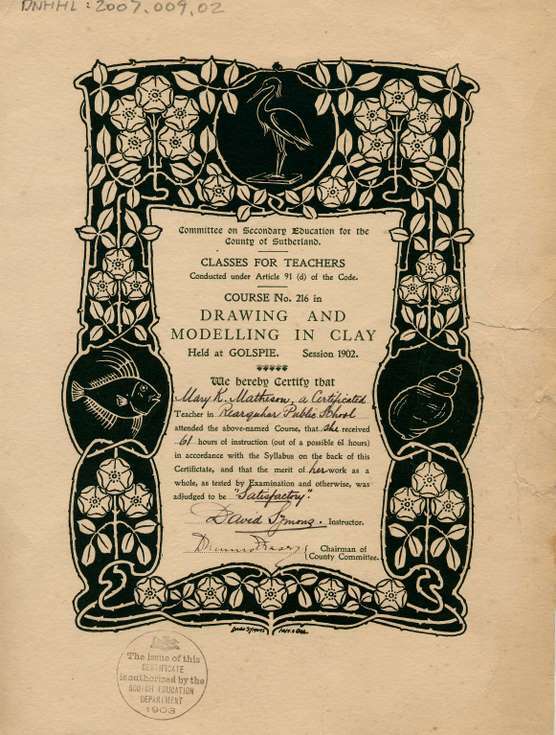 Certificate awarded to Mary Kennedy Matheson by the Committee on Secondary Education for the County of Sutherland, for Course No 216 in drawing and modelling in clay. The course was held at Golspie and the certificate states that she received 61 hours of instruction out of a total of 61 hours. On the reverse of the certificate are the details of the course.